So here we are on the last day of this project. 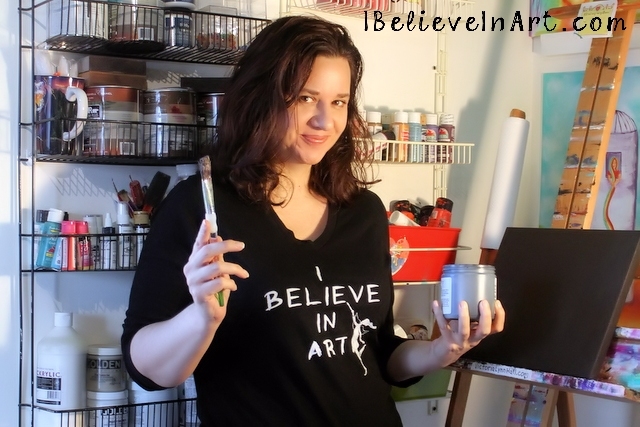 It has certainly been fun and enlightening for me and I hope it has been for at least some of you too. When I chose 30 days for this project it was sort of arbitrary. It wasn't until day 4 or 5 when I thought I better count my card designs and make sure I had that many. I did but beyond that late step nothing about this was really planned. Each day I chose a card somewhat randomly and wrote about whatever thought process it seemed to inspire in me. 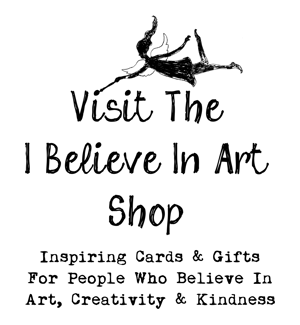 It only occurred to me after Day 29 that I now had the pressure of choosing only one card from more than a dozen designs left. I've decided to solve this dilemma by choosing my 5 favorites and presenting them each with a short commentary below. 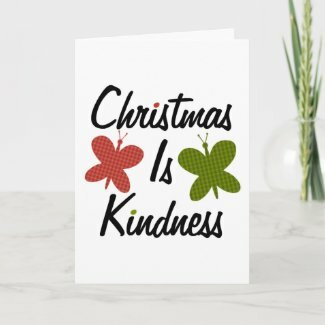 Christmas Is Kindness, it seems like such a simple, obvious statement but all you have to do is attend a late night Black Friday sale to see how easy it is to forget this. It gets away from me sometimes too but luckily something always reminds me that the best thing about Christmas is all the opportunities it presents to do something nice for other people. 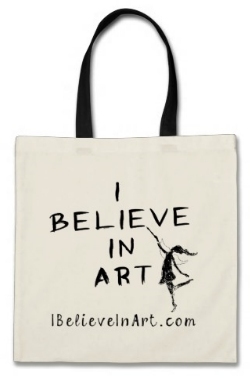 Click Here to see more products with this design at Hippie's Shop. 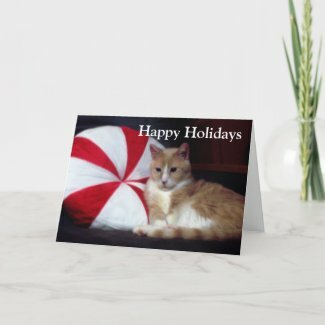 My cat Baby Boy is pictured on this card. He had another name once but now we just call him Baby Boy, even though he is 15. The Holidays can be a little challenging for him because he has epilepsy. Most of the time it is controlled with medication but you know how people sometimes describe Holiday excitement by saying "there is an electricity in the air", well my vet says there is something to that and it actually triggers seizures. So in our household we dial down the excitement as much as we can and concentrate on the cozy and comfy. Click Here to see more Cat themed designs on cards, gifts & apparel. I snuck a picture of this sign outside Santa's workshop. 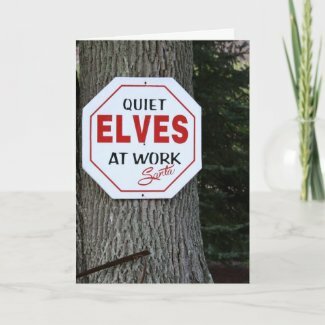 Its kind of a ridiculous sign considering all that loud heavy metal music the elves listen to while they work. I guess Santa doesn't know about that. Anyway, the unique thing about this card is that the message on the inside rhymes. That's unique for me because I have often expressed a marked disdain for rhyming cards but for some reason I just couldn't help myself with this one. Fortunately, its easy to change the message with one of your own. 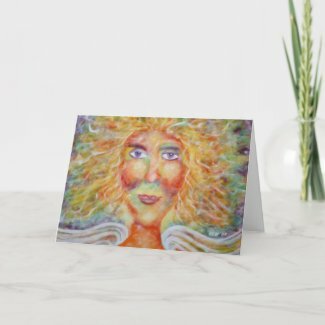 This card features an image of my painting of the Angel Gabriel. In my understanding and imaginings Gabriel is androgynous, all knowing, intimidating but somehow familiar and not unfriendly. I hope that I captured all that because I like Gabriel. I think he/she had a very pivotal role in the story of the birth of Jesus. He/she tells Mary, "Do not be afraid, Mary, you have found favor with God." and then gives her the low down on all that's about to happen. She was a teenager at the time, so just imagine if she had been all insecure and self doubting and thought, "this crazy angel has no idea what he is talking about." There might have been a whole different story. This is why it is important to believe in yourself and be able to take a compliment, especially when its coming from an androgynous, all knowing angel. Just saying. See more Angel paintings and stuff by clicking here. Click here to visit Winey Cat's Winey Christmas Shop for more Winey Winey Cat Christmas Stuff.